M-tech, a manufacturer of affordable mobile phones, today unveiled its latest 4G VoLTE equipped smartphone – TEZ4G. Aptly named ‘TEZ4G’, the new offering from M-tech provides high speed data connectivity and great voice quality at a very affordable price. Now you can watch online videos, listen to your favourite songs, play games and make video calls. 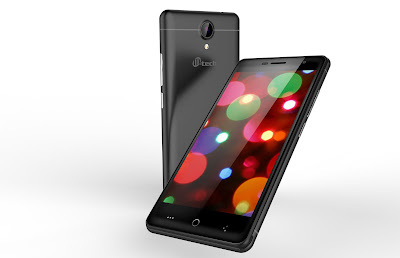 The Dual Sim TEZ4G comes with a 5” FVWGA IPS screen and the 2.5 D curved display lens a stunning look to the phone. Designed for heavy duty use, the device’s screen is made of Dragontrail Glass which provides unmatched resistance to scratches and cracks and is one of the few smartphone brand to offer it. Definitely a durable smartphone ! High on performance, TEZ is powered by 1.3 GHz quad core processor, 1GB RAM and runs on Android 6.0 Marshmallow OS. Equipped with a powerful 2400 mAh Li-Ion battery, it offers 11HRS hrs talk time and 216 hrs standby time. Sporting a 5.0 MP rear camera with flash and a 2.0 MP front camera, TEZ comes with an 8GB internal storage which is expandable upto 32GB. The devices provides OTG [ On The Go] support which allows users to plug their flash drives, keyboard, mice, gaming consoles and digital cameras to the phone’s USB port and perform multiple functions including importing photos and files. 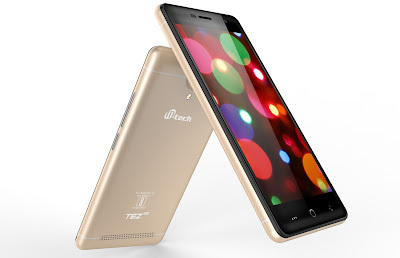 M-tech is a brand of affordable phones promoted by M-tech Informatics Ltd with its headquarters in Delhi. Incorporated in 2010, the ISO 9001:2008 company has a wide range of smartphones and feature phones in its portfolio catering to various price points and offering world class quality and reliable after sales service. With its manufacturing plant in Baddi, HP, the M-tech is backed by a network of 600+ distribution center,20,000 retailers and 600+ service centers allowing it to seamlessly serve consumers. The brand also has a presence in Nepal.